Hello, welcome to my website, on which you can find information on my work as professor at the department of Sociology of the University of Amsterdam. I am a sociologist of education mostly interested in issues of stratification and inequality. 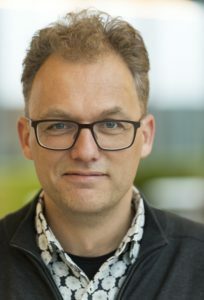 I am the Director of the Amsterdam Centre for Inequality Studies (AMCIS), www.amcis.uva.nl . The AMCIS is sponsored by a Faculty Research Priority Area. Currently I am directing a large Vici project funded by the Netherlands Organisation for Scientific Research (NWO). For more information see http://educsys.uva.nl. I am also involved in Horizon2020 project ISOTIS (Inclusive Education and Social Support to Tackle Inequalities in Society). www.isotis.org. Hi, this is my personal website where you can find information about my work as a professor of sociology at the University of Amsterdam. My official University of Amsterdam website is here.